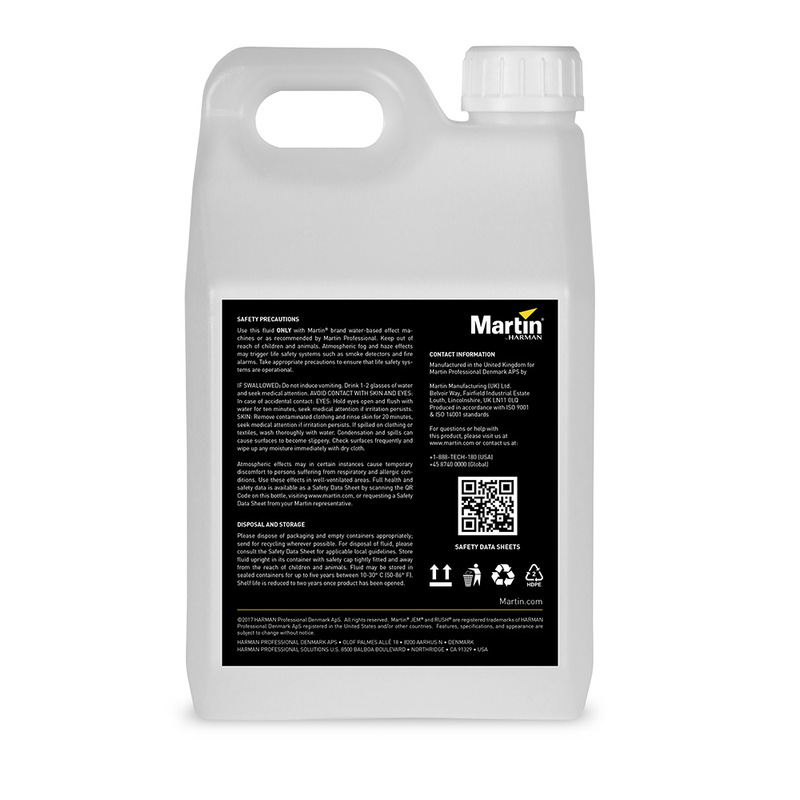 Martin® Pro-Clean & Storage Fluid is specially designed for optimizing performance while providing longevity of any effect machine. 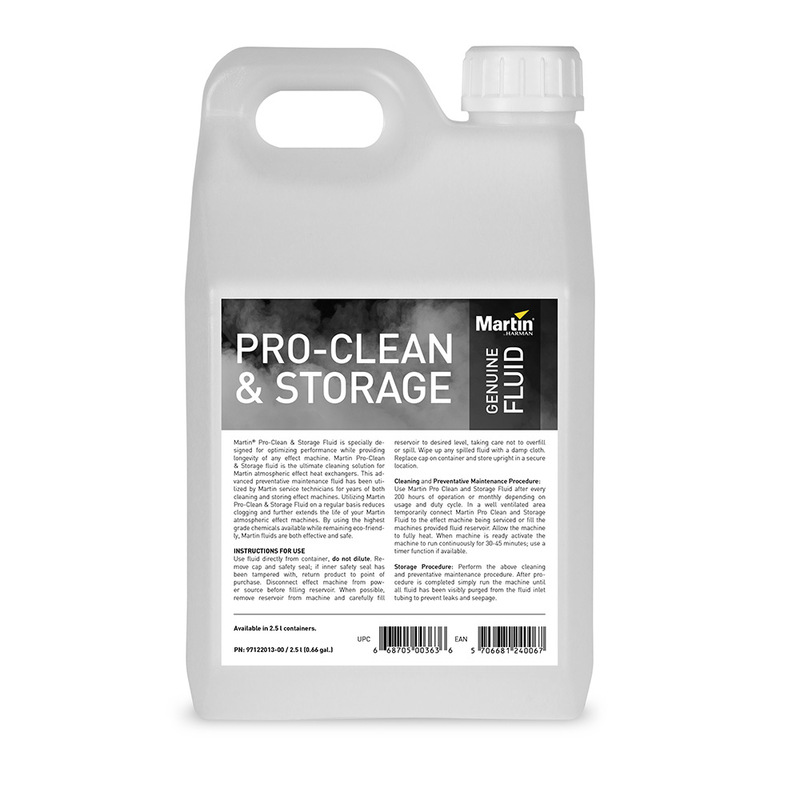 Martin Pro-Clean & Storage fluid is the ultimate cleaning solution for Martin atmospheric effect heat exchangers. This advanced preventative maintenance fluid has been utilized by Martin service technicians for years of both cleaning and storing effect machines. 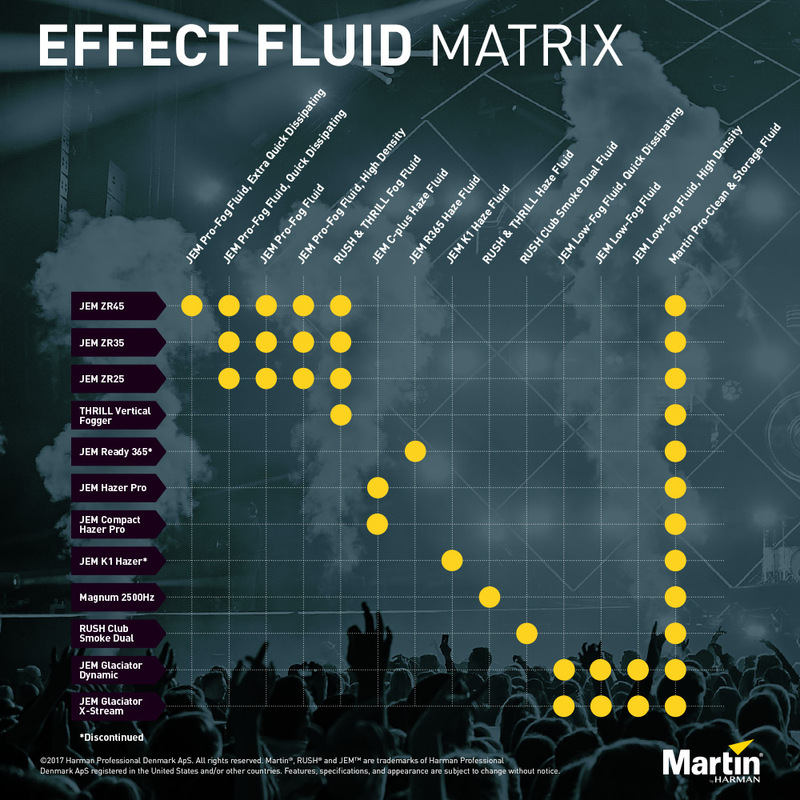 Utilizing Martin Pro-Clean & Storage Fluid on a regular basis reduces clogging and further extends the life of your Martin atmospheric effect machines. By using the highest-grade chemicals available while remaining eco-friendly, Martin fluids are both effective and safe. Available in 2.5 l containers. Effect machine maintenance is easy with the Martin Pro Clean and Storage Fluid. Using this specialized cleaning fluid on a consistent schedule reduces clogging of heating elements and keeps effect machines running at peak performance at a cost-effective price point. Used by industry professionals for years its specialized formula has been tried and tested as an effective and safe means of extending the service life of effect machines while remaining eco-friendly.